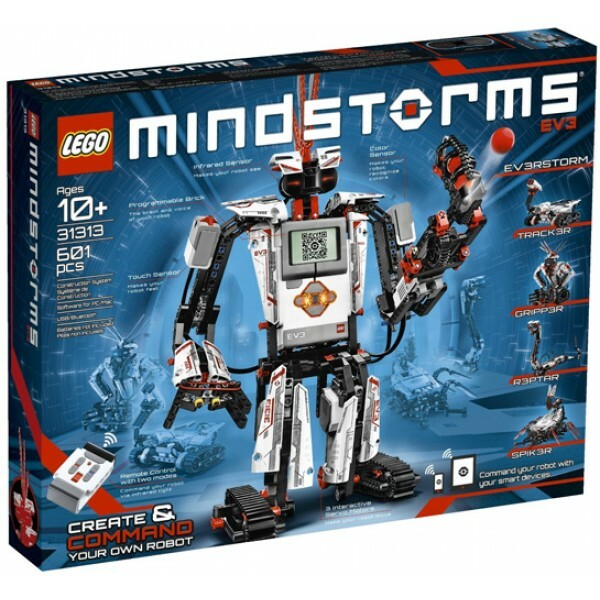 LEGO Mindstorms EV3 combines the versatility of the LEGO building system with the most advanced technology LEGO has ever developed! 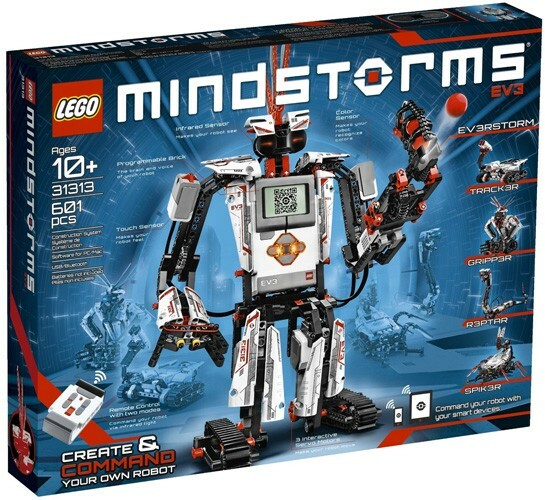 With the new LEGO Mindstorms EV3 set, you can create and command robots that walk, talk, think and do anything you can imagine. 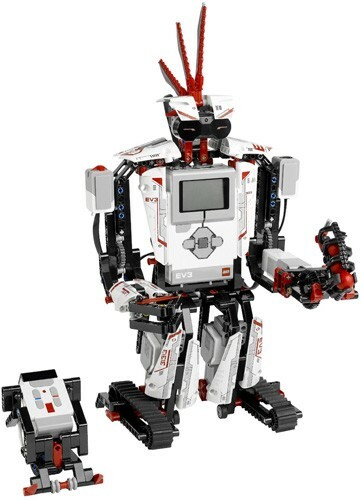 Follow the step-by-step 3D building instructions to create TRACK3R, R3PTAR, SPIK3R, EV3RSTORM and GRIPP3R and bring them to life with an easy, intuitive and icon-based programming interface. 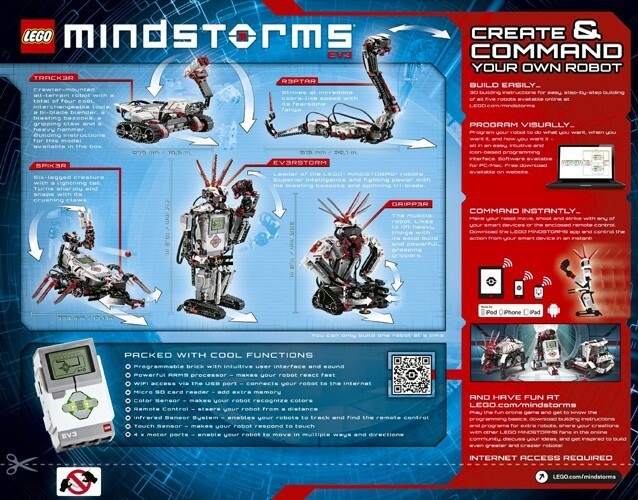 You can use the enclosed remote to control your robot or download the free app and command your robot using your smart device. Want to share your own creations and be inspired by others? 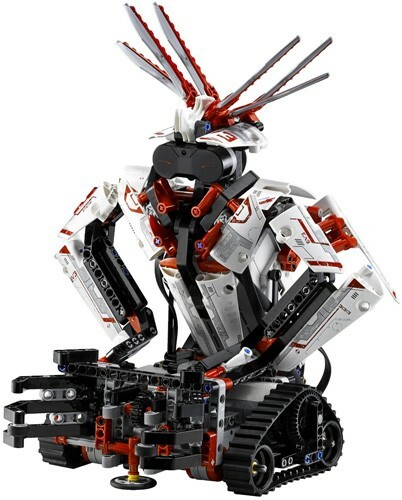 On the LEGO website, you can log-on to access loads of cool content and interact with a huge online community of other LEGO MINDSTORMS fans.